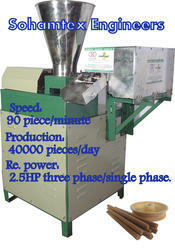 We are offering our clients high quality Dhoopbatti Making Machine. The machine is character with high work efficiency with a speed of 150 strokes per minute. The machine is of low maintenance and easy to operate. 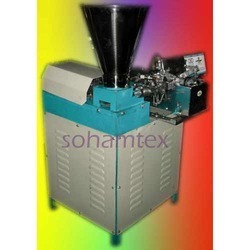 Our company is highly esteemed in offering Dhoopbatti Making Machine to the clients. 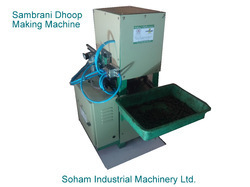 Dhoopbatti Making Machine is manufactured by using high grade material and sophisticated technology. Offered range is well recognized for sturdiness and long service life amongst customers. This product is widely appreciated by the clients for its sturdiness, sturdy design and long life. This product is quality tested material and advanced tools under the direction of skilled professionals. Offered range is available to clients in various technical specifications to fulfill their various needs. Under precious guidance of our skilled professionals, we are engaged in offering a wide range of Dhoop Stick Making Machine. 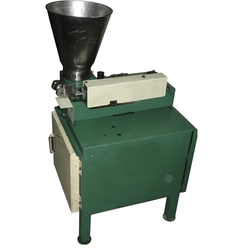 Owing to its remarkable quality, the offered machine is highly applauded by our clients. Provided range is precisely designed by our expert professionals using excellent quality material and advanced technology. Moreover, we check the offered machine on various quality parameters to provide a flawless dispatch from our end. Our valuable client can avail this machine from us at market leading prices. Under precious guidance of our skilled professionals, we are engaged in offering a wide range of Dhoopbatti Making Machine. Owing to its remarkable quality, the offered product is widely demanded in the market. These machines are manufactured by our experienced professionals using premium quality raw material and progressive technology. Moreover, we check that entire range on various parameters to make a flawless dispatch from our end. 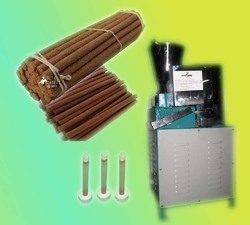 Length of Dhoopbatti: 3", 4", 2"
Under the strict guidance of seasoned professionals, we are manufacturing, exporting, & supplying an exclusive range of Cone Incense Making Machine. Our offered product can also be availed in varied of sizes and dimensions. Our provided machines are extensively appreciated by our clients for featuring variegated attributes like optimum quality. Before the final dispatch from our end, we verify the entire range upon numerous parameters. The offered machines is delivered from our end only after testing it properly. Clients can avail the entire range from us at reasonable prices. Required power: 0.5HP three phase/single phase. Required air point (Compressor your scope). Required space: 2 feet x 4 feet. Length of Dhoopbatti: 30 mm. Warranty: 6 months in cylinder.